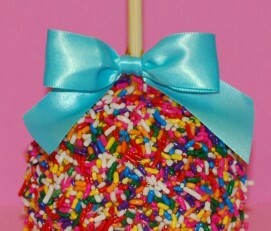 A tart Granny Smith apple dipped in our delicious homemade caramel and rolled in rainbow sprinkles. 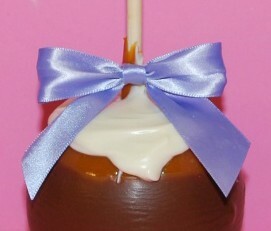 A tart Granny Smith apple dipped in our delicious homemade caramel and drizzled with milk and white chocolate. 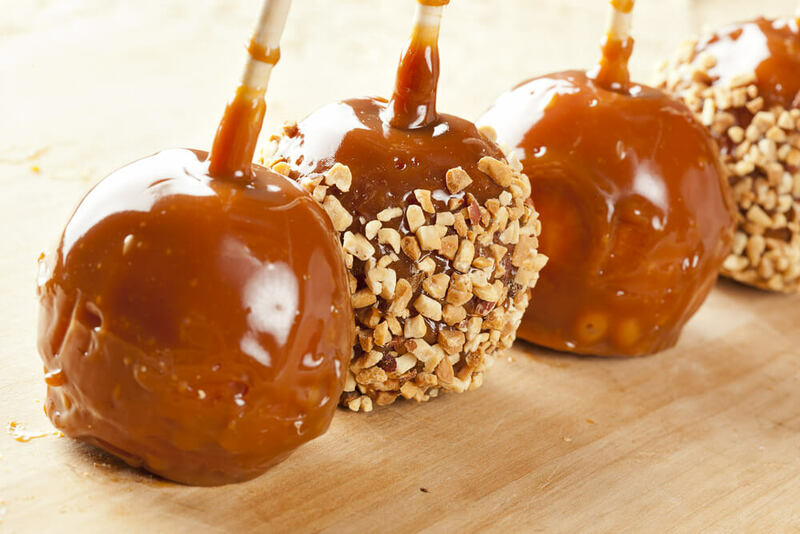 A tart Granny Smith apple dipped in our delicious homemade caramel, rolled in pecans and drizzled with milk and white chocolate. 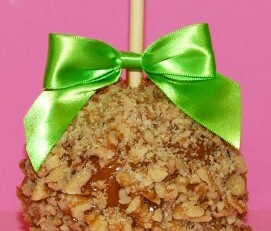 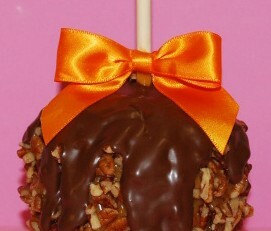 A tart Granny Smith apple dipped in our delicious homemade caramel and rolled in walnuts.